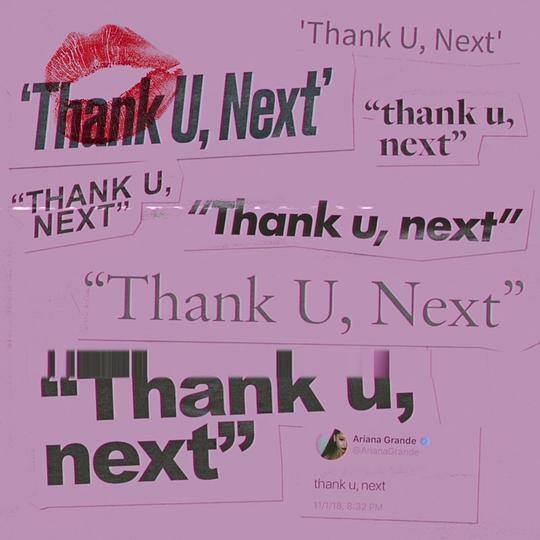 「thank u, next」is the upcoming fifth studio album by American singer Ariana Grande, set to be released by Republic Records on February 8 , 2019. Its title track was released as the album's lead single on November 3, 2018, with the second single "7 Rings" releasing on January 18, 2019. The album is a follow-up to her fourth studio album, Sweetener (2018). Thank U, Next —— 她的SLAY FORMULA.